Are your customers outdoorsy types? Make sure they choose your brand for their next adventure. How? By creating online marketing campaigns inspired by the great outdoors! You can build any one of these campaigns to collect leads, and then use email marketing to nurture those leads into sales. Below you’ll find five campaigns built by ShortStack users whose goal is to target folks who love fresh air; I also included email marketing ideas that’ll turn those leads into customers. Does your product appeal to a wide variety of people? If you’re looking to generate leads, try a contest where folks can choose a prize that suits them. 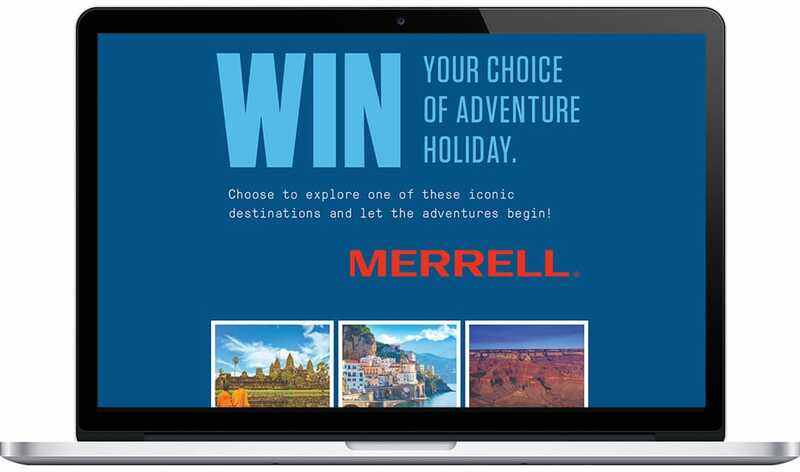 Using our Pick Your Prize template, Merrell Australia created a Choose Your Own Adventure campaign, where entrants choose from one of three very different getaways: a Cambodian Adventure, a trip to the Amalfi Coast in Italy, or a chance to explore the wild west in the USA. Looking to collect some awesome UGC? Host a photo contest. With their “Find Your Bearings” contest, Yukon Gear and Axle are giving away weekly prize packs for folks during the month of July. Entrants must submit a photo from their summer road trip. However, voting doesn’t determine a winner. 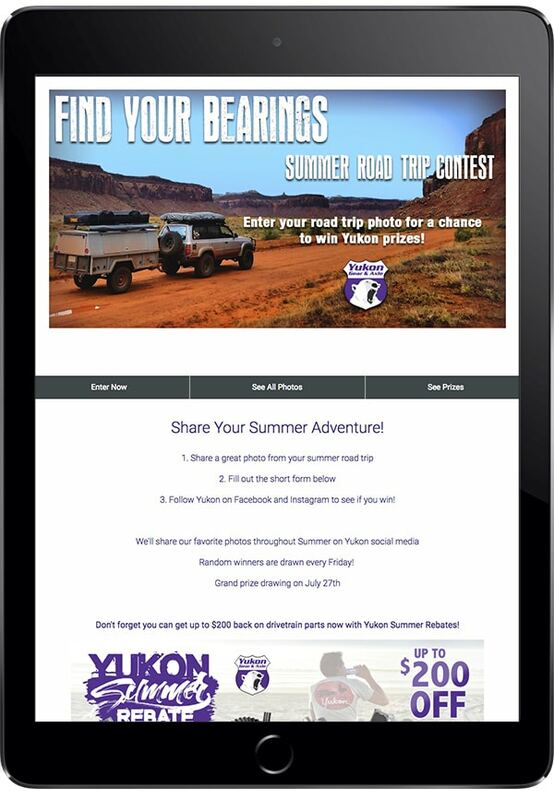 Instead, random winners are chosen, and Yukon Gear and Axle post the photos they collect on various social media channels throughout the summer. Leverage your leads: After form submission, send an autoresponder with suggestions on gear folks can buy from your business that will help them make the most out of a trip to each of the destinations featured in your giveaway. Giveaways are a good tool for growing your email marketing list. With their Subscribe and Win campaign, Huma Charity Challenge requires folks to subscribe to their email list in order to be eligible to win the prize. 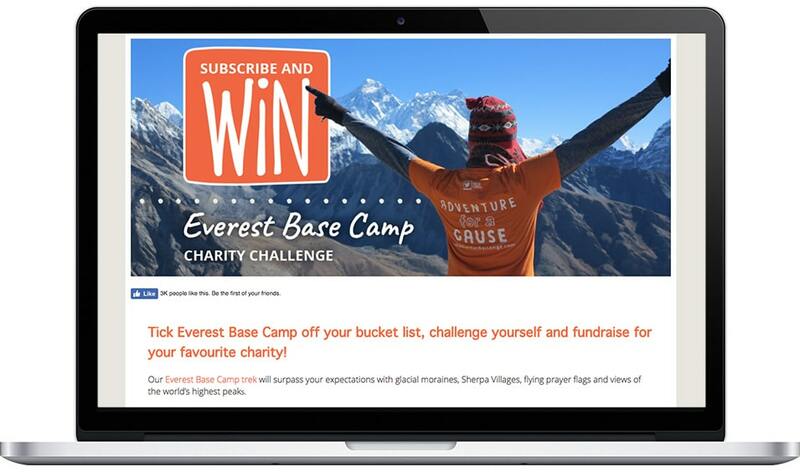 This strategy is great for Huma Charity Challenge, since the prize is a chance to partake in their Everest Base Camp Charity Challenge — a perfect prize to reach adventurers who fit their target market. Leverage your leads: Create follow-up emails featuring popular destinations to send to entrants each week after they submit an entry to your contest — a sure fire way to ignite the travel bug! Working for a nonprofit? Photo contests allow you to gather valuable email addresses from potential donors and promote awareness of your cause. 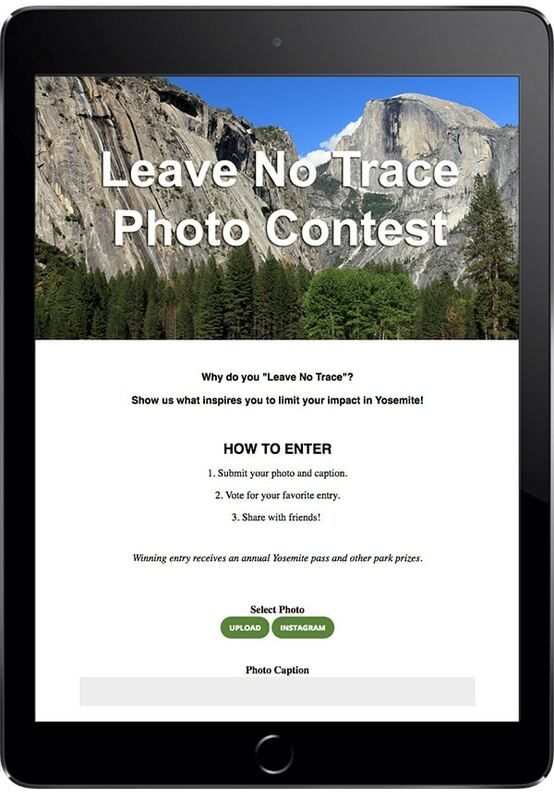 Check out the “Leave No Trace” campaign from Yosemite Conservancy. It targets the type of person likely to give to give to a cause whose mission it is to preserve Yosemite and asks those folks if they would like to keep in touch in the future. Not everyone is interested in a grand adventure. That’s why I love the Beer Garden Guide from Vintage Inns. 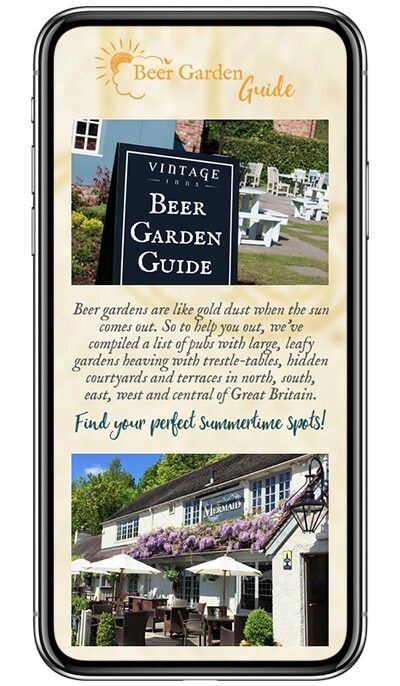 Their guide includes listings of top-notch outdoor beer gardens throughout Great Britain, along with a feed showing Instagram and Twitter posts with the hashtag #BeerGardenHero. All the images are from folks enjoying Vintage Inns’ recommendations. Leverage your leads: Send folks an autoresponder after they enter the contest with more information on how they can get involved with your charity, including links to your donation page. fundraising events calendar, and social media profiles.